We offer Stand-Up Paddleboard Tours & Lessons. 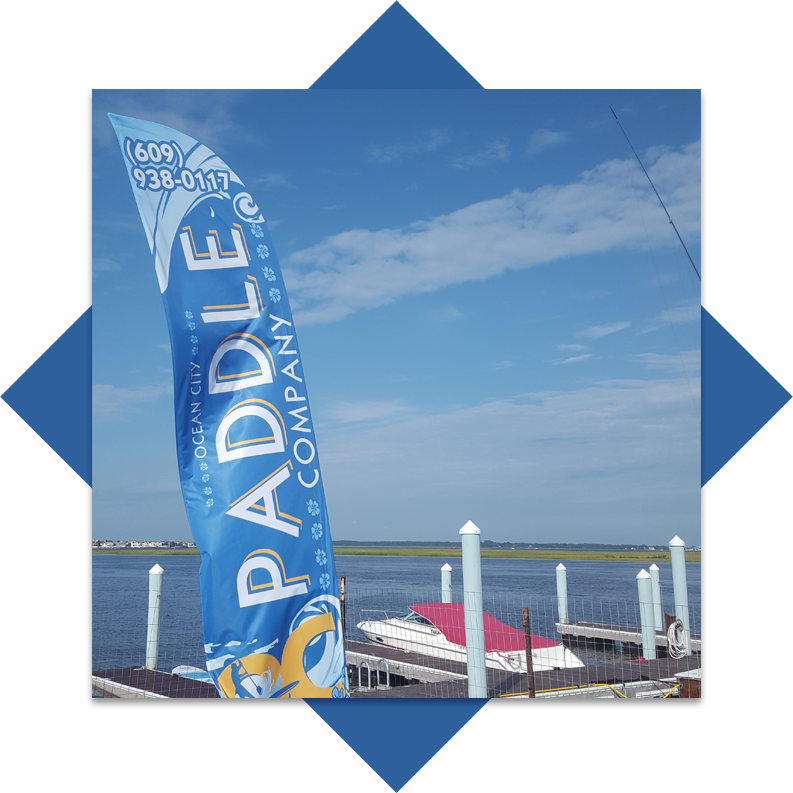 Welcome to Ocean City Paddle Company! Join us and explore a different side of Ocean City, NJ. Navigate through the back bays to discover the wildlife and scenic views of OCNJ! All of our Tours & Lessons include Guide/Instructor, Paddleboard, Paddle, Leash, & Life Vest. The experience will include some dock instruction and about an hour of time on the water. We can accommodate large groups, small groups, and individual riders from first-timers to advanced! Check below for more details, pricing, and what is included. Click on the “Book Now” button to see times and availability. Not sure what you are looking for? Our “Beginner” & “Sunset” Tours are open to the PUBLIC whereas the “Individual” & “Group” Tours/Lessons are PRIVATE. Large groups (12 or more), Birthday Parties, and Corporate Events give us a call and we will do our best to accommodate. If you have a question about our Tours/Lessons, unsafe weather/conditions, and cancellation policies; please check our FAQ. Our staff of W.P.A. and C.P.R. certified instructors will get you up and paddling in no time. All participants are required to wear a life vest. A 1 hour private Paddleboard Tour/Lesson for One person. 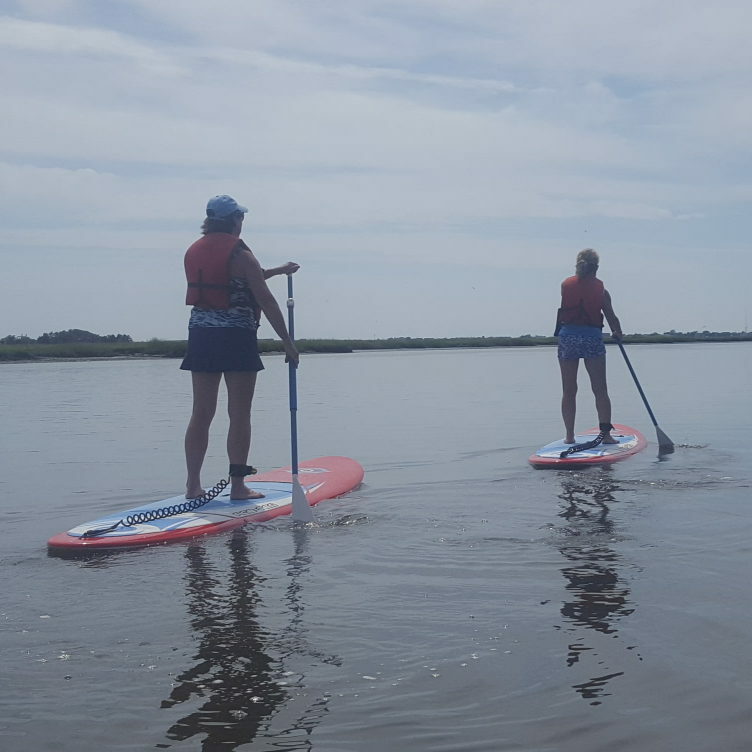 A 1 hour private Paddleboard Tour/Lesson for 2 – 3 people. A 1 hour private Paddleboard Tour/Lesson for 4 – 7 people. 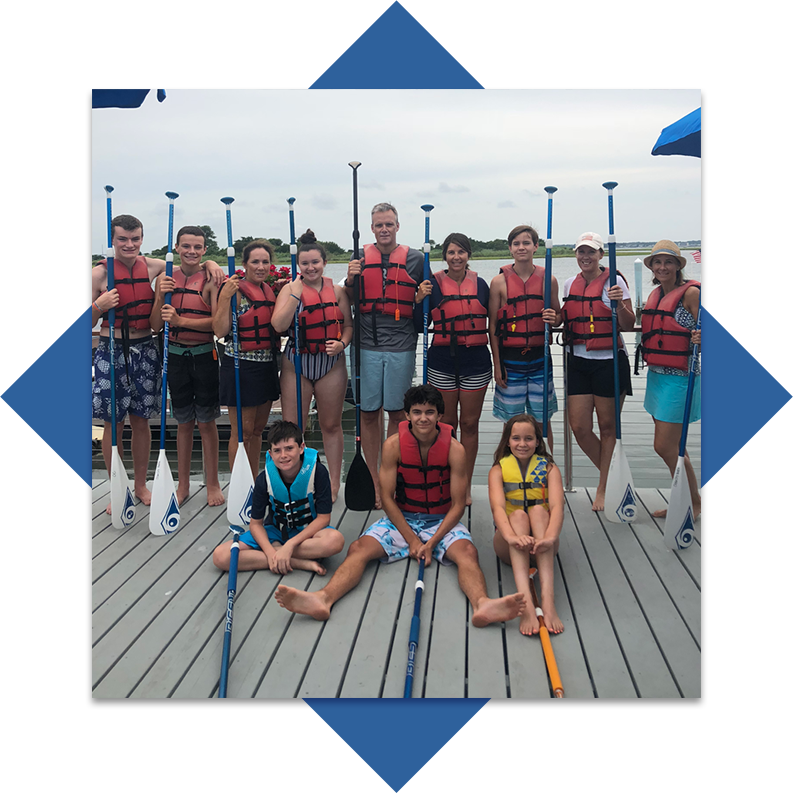 A 1 hour Paddleboard Tour/Lesson for 8 – 12 people. This tour is catered to BEGINNERS. Let us slowly walk you through the process of Paddleboarding. The experience will include all equipment, dock instruction, and water time. 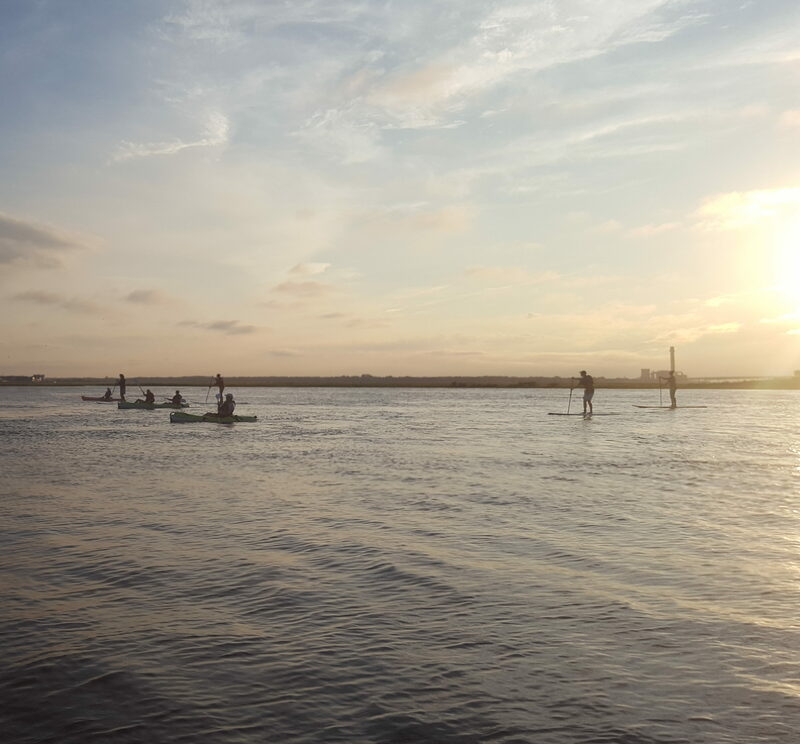 $40 Per Person (Plus Applicable Fees & Taxes)Tuesdays & Thursdays – 6:30 p.m.
Join us this summer and explore the Ocean City bay at sunset. Chose to Paddleboard or Kayak on this 1 hr adventure. All equipment provided. Paddleboard Tours & Lessons run for over an hour. Please arrive 15 minutes prior to your scheduled time.